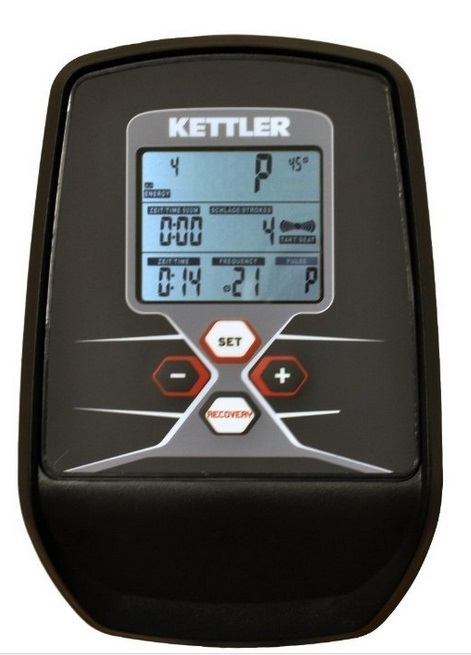 The Kettler Stroker is one of those names you don't forget in a hurry - in fact, it sounds like the name of some sort of serial offender! We can only guess that something was lost in the translation for this trusty German brand. Well as you'll see, this is a review of two halves. The first is good, the second not so good and it could make the difference between choosing to buy one or going elsewhere. So first the good. The Stroker has the look and feel of a quality machine. The design is good (apart from an issue for taller rowers - see below), the build is solid and it looks like it could last for years. The magnetic resistance has a suitable range for a variety of workouts. The flywheel is 4 kg which means the ride is smooth and quiet. The rowing position is a good one and the rail long enough for the longest of legs. One of our testers has a 35" inside leg and he still had room at the end of his stroke. 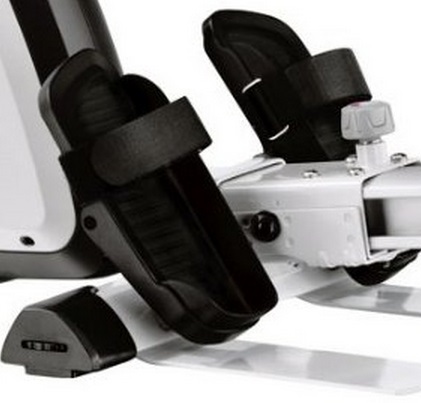 The footplates are well placed and you'll not find your feet slipping out of these in a hurry - a common fault in many budget rowing machines. So what could possibly spoil this stylish rowing machine? A few things. 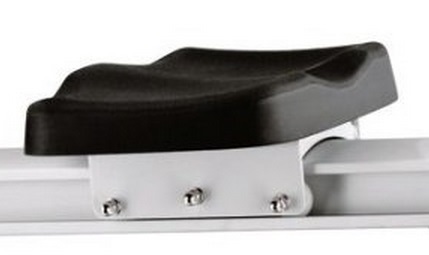 While the rail is a lengthy, the height of the handle means taller rowers will scrap their knees with the pull-strap at the catch (the last part of the stroke). But this isn't a problem for those under 5' 11". What may be is the display and computer - see photo on the right. First impression? Meh... It actually looks a lot like an electricity meter, and about as exciting. The screen is tiny and not that easy to read when you're rowing towards a personal best. However, data such as stroke count don't appear to take into account wattage (that's how hard you're working). For example, if the handle moves only a few inches it will be counted as a stroke and show up as calories used that obviously haven't been burned. Many models in this price range and above use the movement of the flywheel to calculate work rate and therefore give more accurate readouts. If you're tall you may also find the heart rate sensor loses the signal from the chest strap when you get to the end of the rail. Because it's a German brand you get both German and English on the display, but this really isn't a problem. On the plus side it can be tilted, but this doesn't really make that much difference. Note, the console doesn't need to be plugged in as it's battery operated. 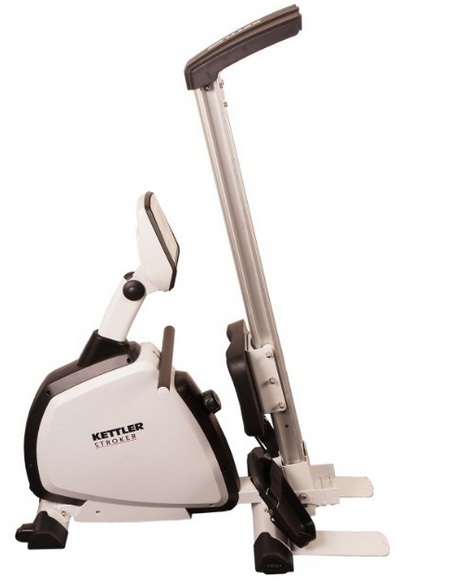 The Kettler Stroker has a lot to offer for the price asked. It's quiet, smooth and has a decent rowing position, and will probably last for years. It's just that it's badly let down by the display and computer. ​If you're not bothered about recording your training sessions, then this won't be a big problem. 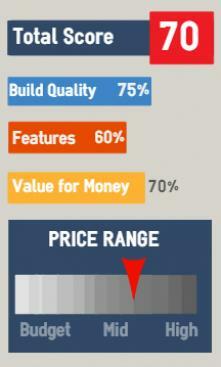 But if you're motivated by progress in your performance, then this may put you off. 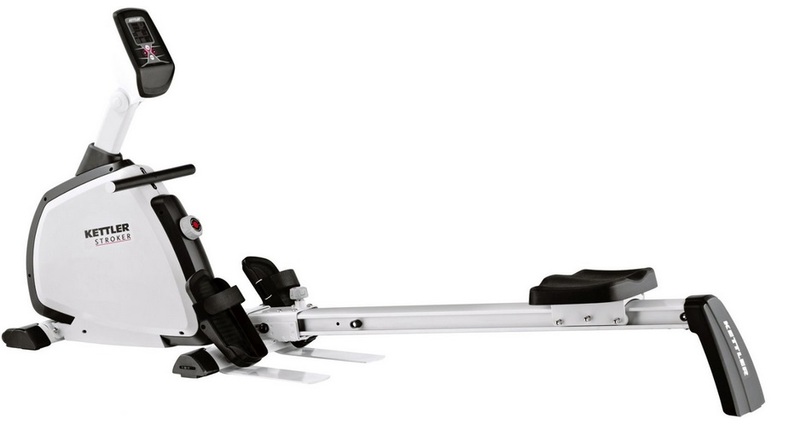 Shame, because otherwise it's a pretty good rowing machine. Heavy flywheel gives a smooth ride - but why didn't they hook it up to the computer? Limited range of the heart rate sensor. Seat hitting the rubber stopper makes a knocking noise. The display screen is small and not easy to read when working out. If you like the Kettler brand you could take a look at the Coach M - although it is around $300 more. If it has to be a magnetic model, the Velocity CHR and Avari are also worth a look.